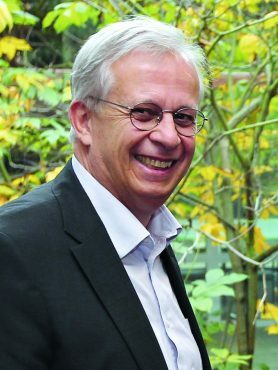 Jacques Aschenbroich, born in 1954, “Ingénieur du Corps des Mines”, has held several positions in the French administration and was in the cabinet of the Prime Minister in 1987 and 1988. He then had an industrial career in the Saint Gobain Group, where he managed subsidiaries in Brazil, in Germany and in the United States. He was president of the glass and high performance materials activities, and was Deputy Chief Executive Officer of the Compagnie de Saint Gobain until December 2008. Member of the Board of Directors and Chief Executive Officer of Valeo Group since March 2009, he is Chairman and Chief Executive Officer since February 2016. La R&D, moteur de la connaissance ?